Local planners will consider the multi-million pound revamp of Donington Park at a meeting today (Thursday). 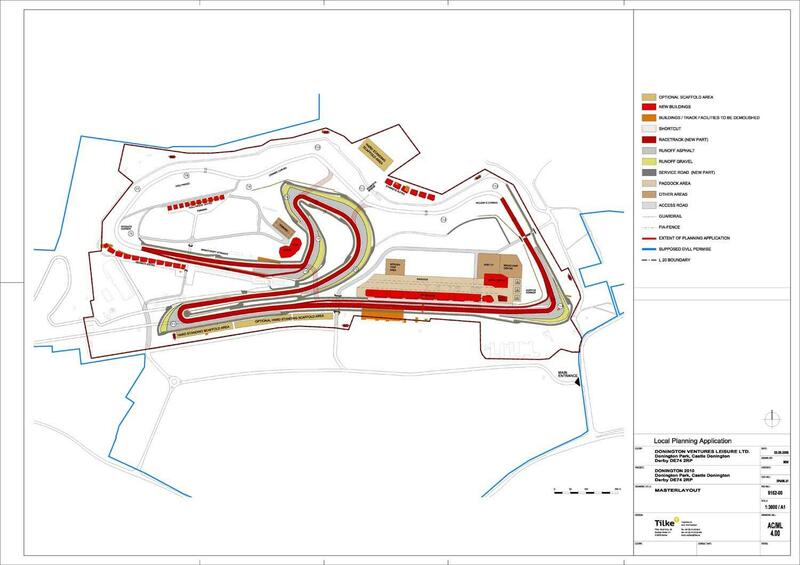 North West Leicestershire District Council’s planning committee will consider the plans to transform the circuit, which hosts British and World Superbike events, plus the biggest motorcycle race in the UK – the British MotoGP. The transformation is geared towards Donington’s plan to host the British Formula One Grand Prix from 2010 onwards having signed a shock ten-year deal with Bernie Ecclestone last year. Today’s planning meeting will consider plans for major track modifications, with a completely new section from Coppice running on the current infield. The Foggy Esses and Melbourne Loop will be scrapped as Donington undergoes a major transformation with new pit complex and spectator facilities. Donington Park boss Simon Gillett has remained adamant he can deliver the ambitious revamp, despite concerns over a lack of investment because of the current global economic crisis. If planning permission is granted, work will start later this month and is due to be completed in time for the middle of 2010. No biking events like the British GP no July 26 will be disrupted by the works.